For $110 or less the Roman palm IV are a good value Sleeping bag. If you find you are a cold sleeper a set of long thermal underwear should slove any issues with the cold nights on the Kokoda trail. All the new Palms are EN tested which means they have been laboratory tested to European Standards. 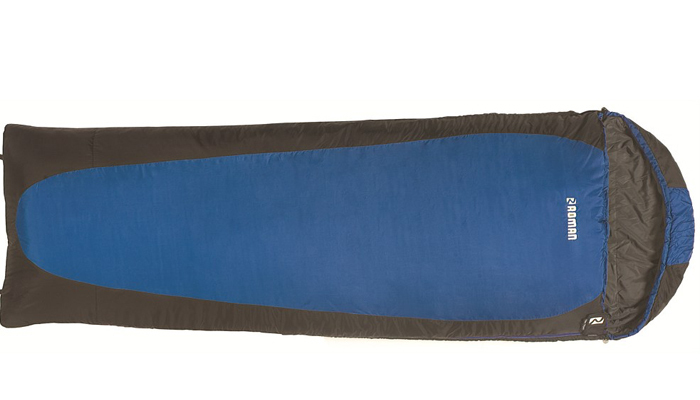 Palm IV are a tapered sleeping bag and fits in the low end technical design catergery. All technical sleeping bags are tapered. The reason for this is the areas the user will feel the cold is the feet and face. No technical bag will be rectangular. Technical bags are designed to be more snug than family camping bags which are usually rectangular and wider. Most men around 100kgs and 180 cm tall should find the size of the bag adequate. If you are taller or thicker set in build then you might require a larger bag. REMEMBER TO ALWAYS TRY THE BAG IN STORE FOR SIZE if you are above a medium build. The zips are separated and not just one full zip going right around allowing you to open it at the bottom for ventilation. Double zips at the bottom of this bag make undoing and doing up difficult. Joining two bags together is possible but they are poor in design in this department and being tapered sleeping bags wont yield the result the user would desire. These bags are great value for money will ensure a comfortable night’s sleep on the Kokoda track and unless you plan on doing lots of outdoor activities in the future should be more then adequate. The EN13537 standard provides three temperature levels to guide a consumer in their choice Comfort – This is the rating Roman quote on bags. The temperature at which a standard woman can expect to sleep comfortably in a relaxed position. If you consider yourself a cold sleeper use this rating to decide the coldest temperature the sleeping bag is suitable for.